Not sure whether you should be looking for a Less Than Truckload (LTL) or Full Truckload (FTL) service? Are you wondering what “partial truckload” means in logistics? Looking for packaging guidelines? Find your answers here or give us a call or an e-mail. If you have unanswered questions about packaging, pick up, delivery or shipping options, then just give us a call at 855-372-7447; we’d be happy to help. If you’ve got questions about General Freight Logistics or Freight Rates and Quotations, then you will probably find the answers on our other FAQ pages. If you know whether you’re interested in a Truckload or a Less Than Truckload service and are ready to price out your shipment, then fill out one of our handy online freight quote forms and get an instant and accurate quote online. What's the difference between LTL and Full Truckload? LTL is "Less Than Truckload," so the fundamental difference is fairly obvious. However, not every truck has the same capacity and not every load is clearly appropriate for one shipping method based on weight and size alone. Obviously, if you've got 200 pounds of freight to transport, you've got an LTL shipment and if you have 10,000 pounds of freight, that's a full truckload, but what if you're not sure? If it's not clear what type of service is best, then price out both options and consider whether or not there would be benefits to a dedicated truckload. Some Full Truckload services will combine two shipments into one large truckload. This is usually referred to as "partial truckload" rather than LTL, and it tends to be less expensive. Do I Need a Full Truckload? If you're not sure whether or not to commission a full truck for your shipment, we'd urge you to use our free, instant quote generator to compare your costs for LTL (less than truckload) vs. FTL (full truck load) shipping. 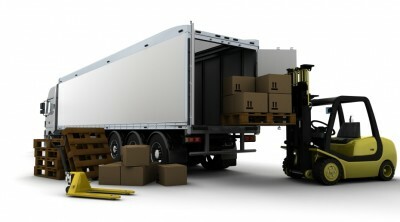 In general, you'll find that it's more cost effective to hire a full truck for shipments taking up more than 20-25? of space, over around 20,000 pounds, and for very bulky or oddly shaped shipments. I'm Thinking About Using a Less Than Truckload (LTL) Service. How Does That Work? If you arrange for LTL, or less than truckload shipping, we will connect you with a service that picks up and delivers shipments from multiple points. They collect freight from within one city or local area, and then transport it to a distant city or region. For example, they might pick up pallets of boxes from five locations in Chicagoland and deliver the items to eight different places in the Bay Area a few days later. Does "Common Carrier" Mean A Truck That's Used For LTL (Less Than Truckload) Shipments? It would make a certain amount of sense if that were the case, and people are sometimes confused about the definition of "common carrier." In reality, common carriers transport both full truckload shipments and less than truckload shipments. The term "common carrier" simply means that the trucking company transports goods along regular routes at regular times and can be hired by anyone. In contrast, privately owned trucks only transport freight for the company they belong to. Should I Use a Parcel Delivery Service or a Less Than Truckload Service? Our rule of thumb is that if you need to ship over 150 pounds, you will almost certainly find it more cost effective to arrange for LTL (less than truckload) service through Freight Rate Central. We will find you a low rate on a common carrier, and it will cost you less than you'd pay for parcel delivery. If your shipment is between 100 and 150 pounds, then we recommend that you price out both options before deciding. I'm Thinking About Using A Full Truckload (FTL) Service. How Does That Work? With a full truckload service, your freight will usually be all that's shipped in the truck, and it will go directly from your pickup point to your drop off point. In some cases, an FTL carrier will carry two shipments in the same truck; they'll each be a partial truckload. While the cost of multiple pickup and drop off points has an impact on the rates for less than truckload (LTL) services, partial truckloads are usually billed at the same rate at full truckloads. FTL carriers sometimes find it more cost effective to use the same large truck for two loads. How is a Lowboy Trailer Different From an RGN Trailer? Many of our customers ask us about the difference between a lowboy trailer and a fixed gooseneck (FGN) trailer. A FGN trailer has low profile tires and is equipped with a drop-ramp at the back to facilitate loading. It also offers an extended deck length and is lighter than a standard lowboy. The gooseneck in question is at the front of the trailer and attaches it to the cab. A fixed gooseneck trailer cannot be loaded from the front, but a Removable Gooseneck Trailer (RGN) can. The FGN is the longest and lightest, and the MGN is second in that regard. The HRGN is heavier and shorter, but the gooseneck is relatively easy to detach. The MRGN sacrifices convenience in detaching the gooseneck for a lower weight. In the MFGN, the gooseneck can be transformed into a loading ramp. We do not recommend that private individuals use our service to arrange for shipment of un-packaged fragile items as our freight carriers require proper packaging of all LTL freight. Instead, you should use a van line with a blanket wrap service or a professional mover. The standard insurance for common carriers in the trucking industry for used goods only provides ten cents per pound reimbursement in the event of loss or damage. If you are a business shipping fragile items such as glass or electronics, then of course you'll be in a position to secure any additional insurance that you may need. Do You Have Packaging Guidelines? When you use FRC for your shipping logistics, you are expected to follow standard business practices in regard to packaging and packing. That usually means that your shipment will be in boxes that are individually labelled, then bound together onto pallets with straps, breakaway adhesive and/or plastic wrap. The boxes should be arranged on the pallet with a flat top and no overhang. Larger and heavier items may be shipped in crates. If you have questions about proper packaging, then don't hesitate to get in touch. You can contact us by phone or e-mail.